An ode to the gerrymander. 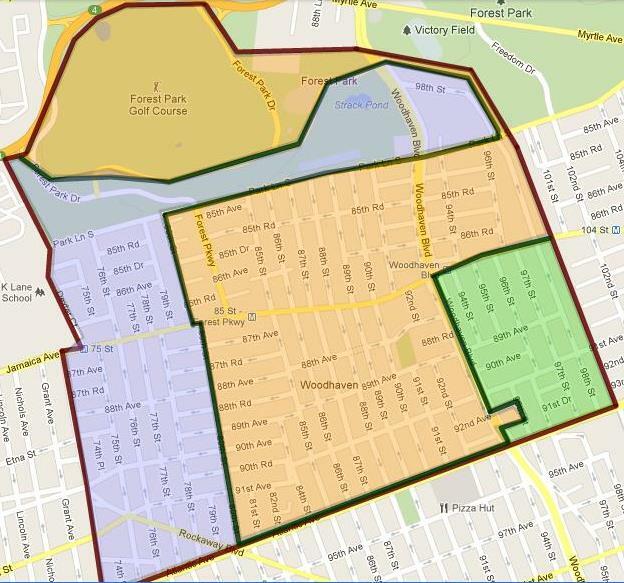 A civic group is voicing strong opposition to proposed redistricting maps that would split the neighborhood of Woodhaven between three state Senators. Is there anyone happy with their lines? Of course. Just not the good government folks. Press Release: The Legislative Task Force on Demographic Research and Reapportionment (LATFOR), the body charged with redrawing district lines, released its proposed maps last week. The Block Association applauds LATFOR’s decision to keep all of Woodhaven within a single Assembly district — as it has been for the past decade — but strongly urges the Task Force to reconsider its Senate boundaries. 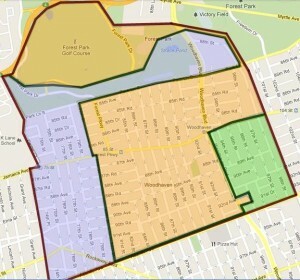 The division of Woodhaven under the proposed plan is illustrated in the attached map. The lines are not only unsightly and convoluted, but they will also hurt Woodhaven’s representation. Some Woodhaven residents will be in the same district as Astoria — clear across the borough. Other Woodhaven residents will be in a district that stretches all the way out to Green Acres Mall in Nassau County. LATFOR will hold a public hearing for Queens on Tuesday, February 7, at 3 p.m., in Room 213 of Queens Borough Hall (120-55 Queens Blvd., Kew Gardens). The WRBA hopes to testify at this hearing. The proposed maps for the entire districts that would include Woodhaven can be viewed here, here, and here.